We obtain a necessary and sufficient condition for a hyperbolic system to be an Euler-Lagrange system with a first-order Lagrangian up to multiplication by some matrix. If this condition is satisfied and an integral of the system is known to us, then we can construct a family of higher symmetries that depend on an arbitrary function. 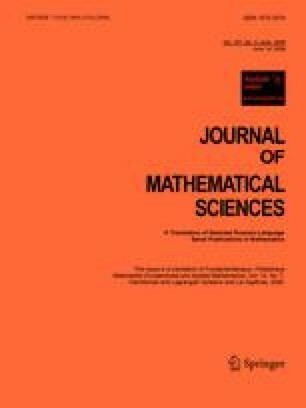 Also, we consider the systems that satisfy the above criterion and that possess a sequence of the generalized Laplace invariants with respect to one of the characteristics; then we prove that the generalized Laplace invariants with respect to the other characteristic are uniquely defined. Translated from Fundamentalnaya i Prikladnaya Matematika (Fundamental and Applied Mathematics), Vol. 12, No. 7, pp. 251–262, 2006.